When putting together a home workshop, you need a wide variety of tools. Buying them all new is very expensive, so looking at used tools is definitely something worth considering. 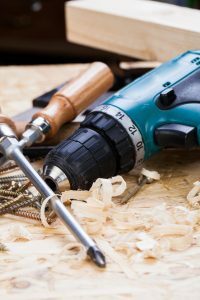 Whether you are into wood working, repairing cars, or fixing small engines – buying used tools and equipment can save you a lot of money. You may also be able to buy higher quality used tools for lower quality prices. High quality tools that are taken care of can last a long time. So how do you go about buying used tools? First, figure out what you need. Are you working with wood, engines, plastics, or cars? Start by researching all the tools you will need for the work that you want to do. Look at Craigslist and eBay to get an idea of what tools are being priced at and the brands that seem to be holding their value. Look up reviews and pick the ones that people seem the happiest with over the long term. Hand tools and other non-powered tools can be cleaned with rust removers, making them almost like new again. Power tools need to be inspected for wear, look at the power cord and make sure any safety features are fully functional. Run the tool and listen to the motor, it should run smooth and sound good. Study your brands. Contractor tools are built to be sturdier and handle a heavy workload, look for those brands. But because of their heavy use, make sure you inspect them carefully. Look for tools like snow blowers and outdoor landscaping equipment out of season for some of the best deals. Estate sales are also an excellent place to look for tools, as the family may be wanting to clean out a garage and you can find some good deals. Do your research and read reviews, and you will be able to stock your work area with excellent tools for a lower price.